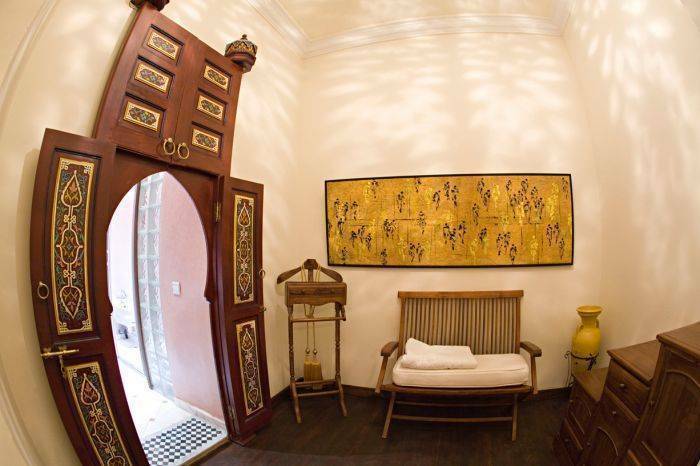 Riad Dar Sohane is a fantastic guest house situated in the historical centre of Marrakech, just 200 metres from the famous Djemaa el Fna Square. 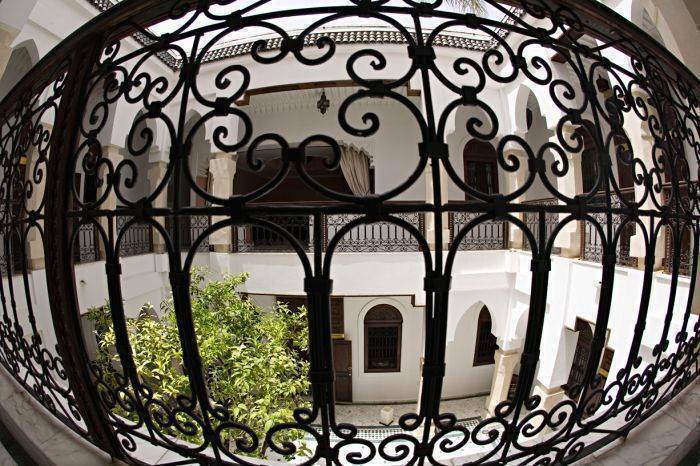 What’s more, you will find places of interest in the immediate surroundings, such as the Bahia Palace, the Dar Si Said Museum, le jardin de Rosier and the Koutubia Mosque. 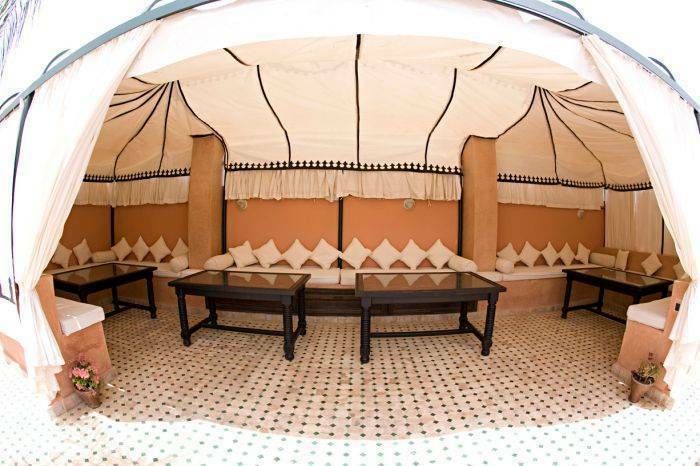 Thanks to the central location of this guest house, you will have easy access to the bus network as most buses stop at Djemaa el Fna Square, 400 metres away. 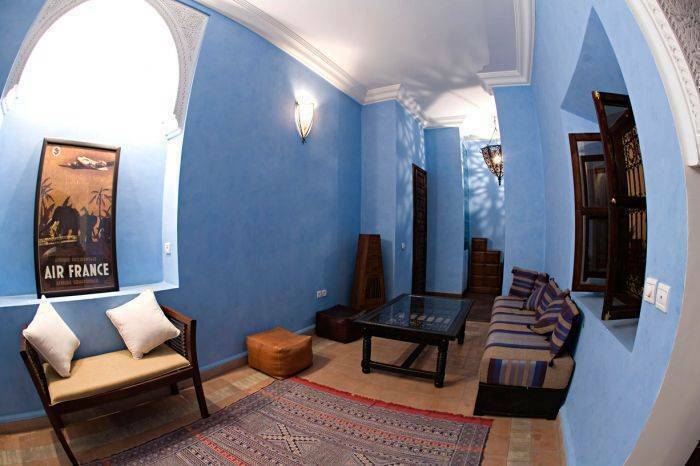 This beautiful riad has just four guest rooms which each sleep 3 people. As you walk through the front door the traditional aromas and décor will make you feel like you’ve gone back in time. There is an 80 m2 interior courtyard with oriental arches, a chimney and a fountain which looks like something straight out of a story book. All of the guest rooms have a private bathroom, heating, air conditioning and free wireless Internet access. Breakfast comes included in the price of the room. 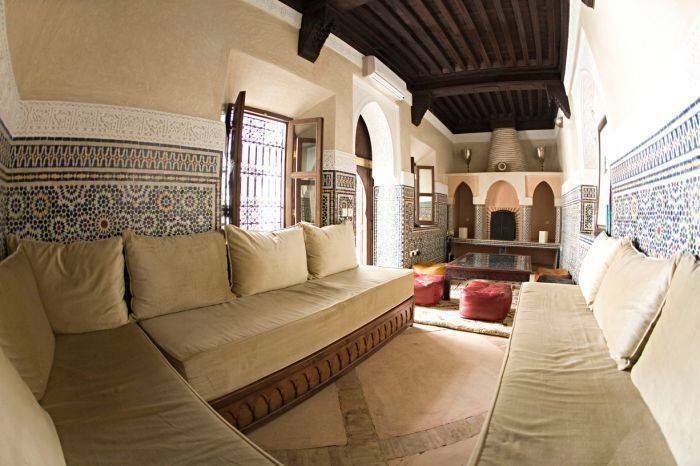 There are also two terraces with wonderful views of the Atlas Mountains; one of the terraces even has a jacuzzi. Guests will also find a TV room, a laundry service, a left-luggage office, wireless Internet access in the communal areas and a 24 hour reception. 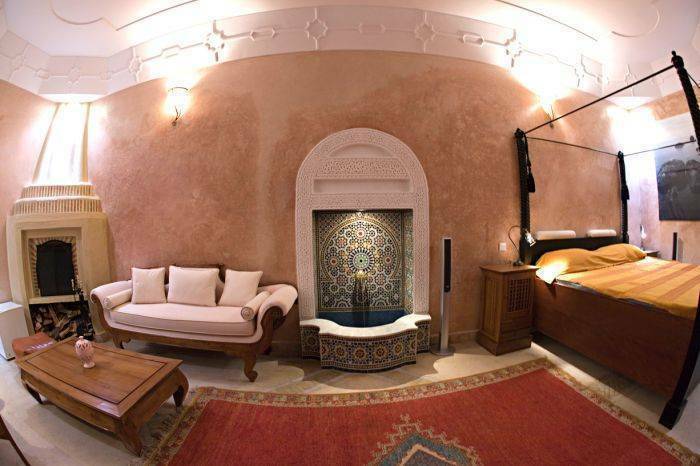 Riad Dar Sohane offers an airport transfer service and a traditional hammam (extra charges apply). Smoking is permitted.